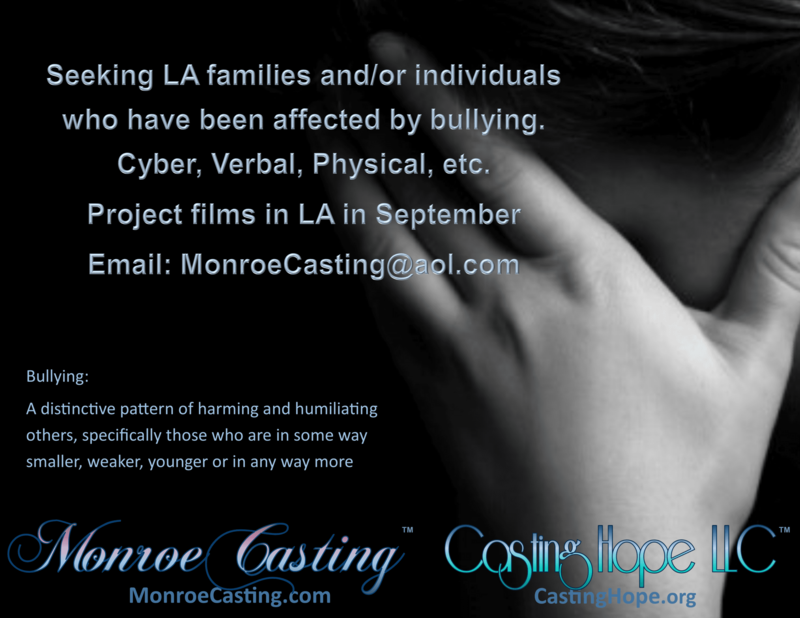 Seeking LA Families or Individuals who have been effected by bullying. Cyber, Verbal, Physical, etc. Project films in LA in September. Bullying: A distinctive pattern of harming and humiliating others, specifically those who are in some way smaller, weaker, younger or in any way more.